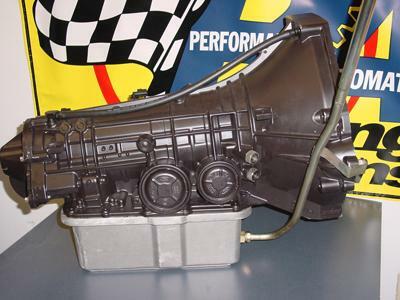 We no longer carry the 1979-95 MUSTANG 5.0L & 5.8L PERFORMANCE AUTOMATIC SUPER STREETER 5R55S TRANSMISSION. Check out Mustang Automatic Transmissions for an updated selection. into the 2005 and up chassis. Check out what Performance Automatic is offering this year. Performance Automatic introduced the Super Streeter transmission line sixteen years ago to satisfy the demands of a growing segment of street machiners. Since then, the Super Streeter has become the area's most popular street/strip transmission package. The Super Streeter is equipped to handle engines up to 450 horsepower. Firm, crisp shifts, heavy duty bands and clutches, along with complete installation instructions, are just some of the features standard on the famed Super Streeter.